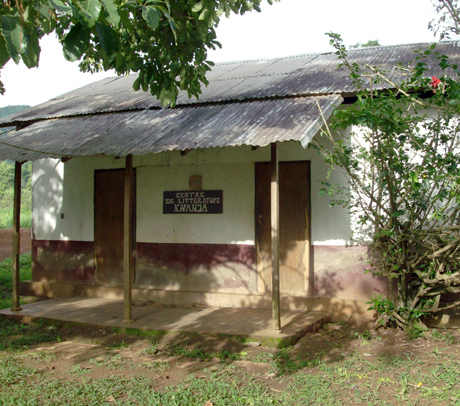 “A nice sharp stucco finish would hopefully discourage the goats which eat the plaster” reported Martin Weber, a Bible translator in Cameroon writing about the state of the Kwanja Translation Center. For the past 28 years, he and his wife Joan, Canadians serving with Lutheran Bible Translators—Canada, have served in the West African country. During that time they translated the New Testament into Kwanja, the native language of the area, and continue teaching literacy programs and translating the Old Testament. Within days of his e-mail reaching Canada, Martin’s construction woes and the goats’ dinner were under control. An LBT associate, Peggy Seitz who works with Wycliffe Bible Translators will add the Weber’s electrical problems to the “to do” list of a qualified American electrician who is planning to visit in August. As for the disappearing stucco, Martin reports that he “found a good cement mason in a neighbouring village who is now at Yimbéré with two helpers to re-plaster the outside walls of the center and do the repairs to the school veranda.” The level of goat-proofing is yet to be determined! If you are interested in learning more about Bible translation work and the Webers, go to www.lbtc.ca. God takes care of all our needs. Ask any of us at LBTC!